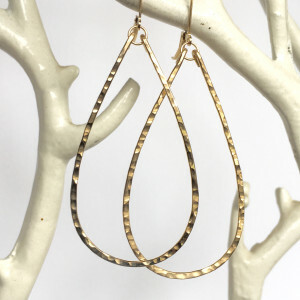 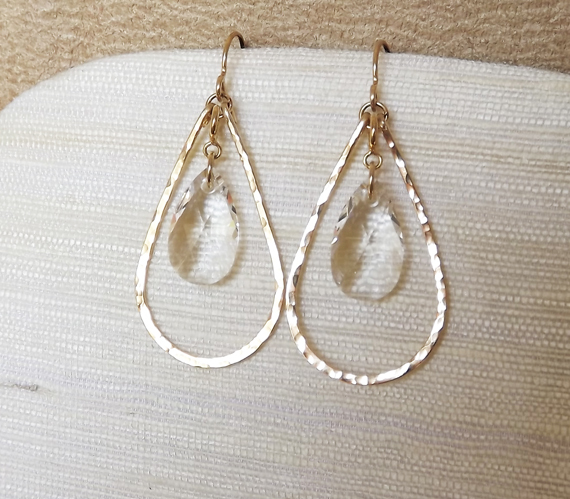 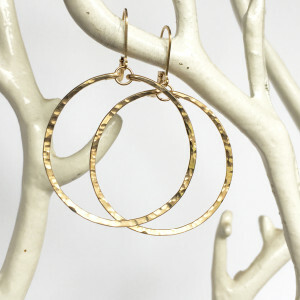 Gold filled or sterling silver hammered hoops in an elongated tear shape. 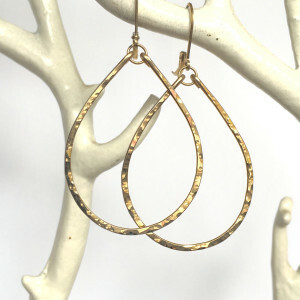 The earring measures about 2″ from ear wire. 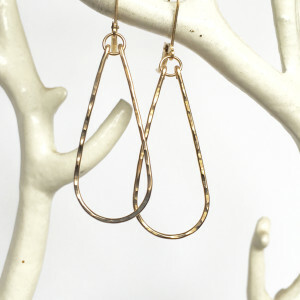 Pearl charm inserts are sold separately.